There is always something to do in Melbourne. Whether its exploring hidden laneway gems, taking in the sights or taking in a bit of culture, Melbourne doesn't disappoint. In case you were unaware, Alice in Wonderland is a story that is near and dear to my heart. For those who did not know, the title of this blog was inspired by my mild Alice obsession. When I found out an Alice in Wonderland exhibition was coming to Melbourne, you bet your bottom dollar my booty was going. 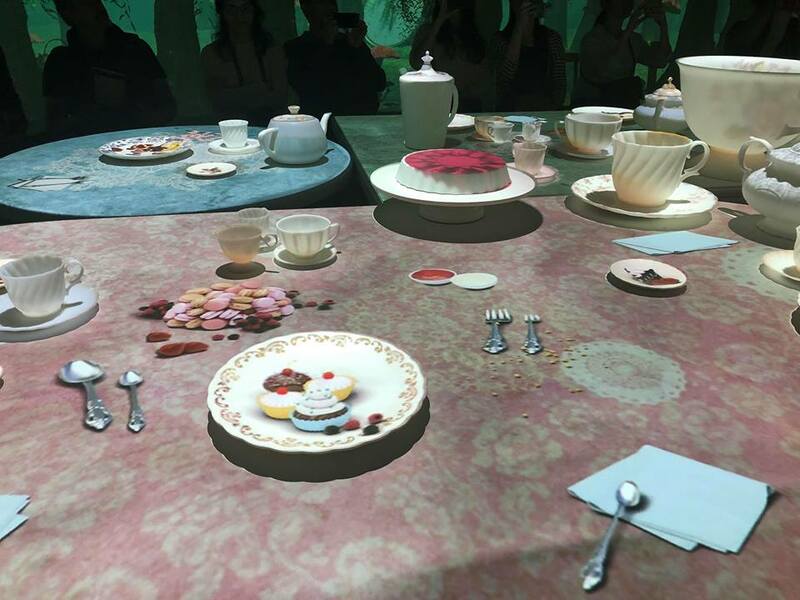 Start your journey down the rabbit hole in this immersive and theatrical exhibit. As you wander down the stairs, you're greeted by a staff member who will give you the 'Lost Map'. 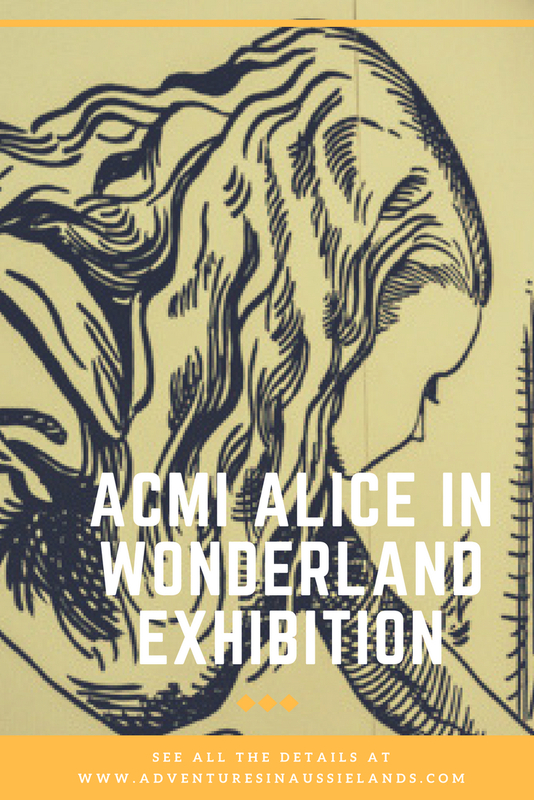 This map gives you a specific Alice character and allows for a more immersive experience (I was the Mad Hatter), it's your job to find out how to enter the exhibition. There are a few different ways to enter. In true Alice fashion, I crawled my booty way in through the smallest door. Each room unlocks more and more to Alice. Once you've made your way through the tiny door, you get to explore a bunch of rooms that share background information about Lewis Carroll and little Alice. My personal favourite? 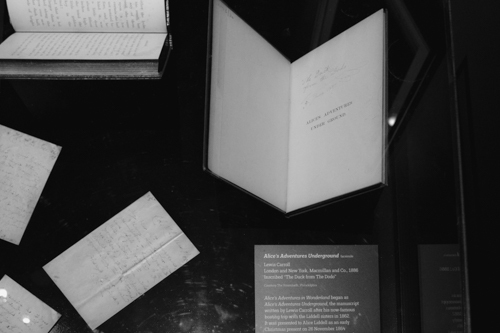 Getting to see one of the original copies of Alice's Adventures Underground. Did you know that was the original title of Alice in Wonderland? The interactive adventure continues giving you a glimpse of the Alice in Wonderland ballet costumes, the cinematic evolution from the first B&W picture to modern Disney favourites, the Mad Hatter's Tea Party, painting the roses red, and finally a look at Tim Burton's take on Alice. While waiting for your tea party, in true Alice fashion, you're faced with a riddle to solve. Being the masterminds my friend and me are, we're 99% we solved the riddle. The only downside, none of the staff members had been told the answer to the riddle. We had no idea if we had solved the entire puzzle or if we needed to do a bit more digging. After exiting the tea party, head over to the 'Queen's Croquet Ground' and let your inner child loose to help paint the roses red. Create your own character with the stickers provided, scan it, and watch your creation come to life. It's fun for both kiddos and adults. It was incredible to see the evolution and the many interpretations of Lewis Carroll's beloved story. The exhibition concluded with costumes from the Tim Burton films and an 18 screen tribute to Alice. 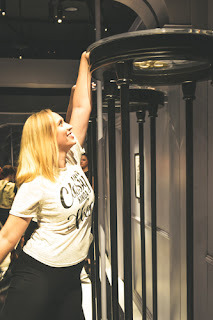 The Wonderland exhibit is a wonderful time for adults and children. The little ones can engage in the interactive activities while the adults take the time to read about Alice's evolution. 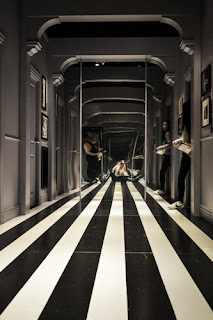 You will absolutely be swept away by this curious exhibition. That's so cool !! I love this kind of exposition ! This is cool. I wish they had something like that in the US. One day I will visit Australia. I have always love the Alice in Wonderland story! 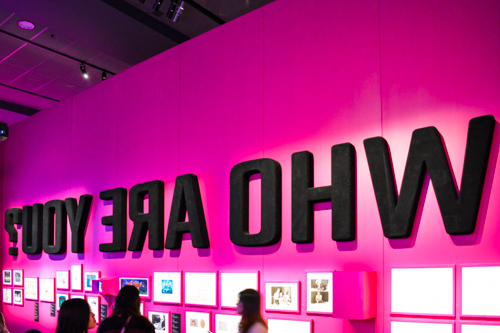 This seems like such a cool exhibit! It was incredible to fall deeper into Carroll's world! It was so awesome. Oh! This sounds like so much fun! I hope that exhibit comes to Florida. I would love to see it! This looks like the coolest thing out there right now. I wish I could make it to see it there. SO interesting! I must be a weird one - I never really read the Alice in Wonderland story. I don't know how that happened but it did. This seems like a fun exhibit though! I didn't know this even existed! I would go just to try and solve that puzzle before the Tea Party. What a cool exhibit! This sounds fun. Not only will children love the place, even grown-ups will love to live some moments from their childhood dream. This sounds absolutely amazing! I've been reading Carroll's works aloud with my kids recently. I can't believe that the staff didn't know the answer to the riddle! Oh wow that's incredible! I used to live close to Disney as well and miss it terribly. This is a place that I have to add to my must visit list. All ages would love this type of exhibit and it is too bad that they do not have one in the US. Wow. That looks really amazing! 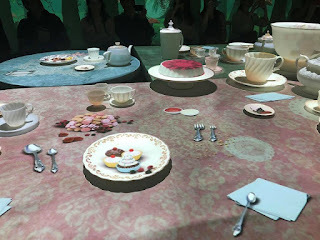 I love Alice in Wonderland too and I will surely go nuts with an exhibit like this! You absolutely would! It was so awesome. You will never ran out of stuff to do in Melbourne. These are fantastic activities and destinations to visit. Alice in Wonderland is a favorite of mine. I think even if you spent your entire life trying to explore everything in Melbourne you would not be able to. It's such an incredible city. Alice in Wonderland is such an amazing tale and an exhibit for the same must had been truly exciting. I wish they have this exhibit here too, so that I could visit it. It was so much fun! Especially for an Alice buff like myself. What a fantastic exhibit! We would love to see it in person. I wished I lived nearby, this looks so fun! Sounds like another good reason to visit Australia. I love the views from the beaches. There are soo many reasons to visit Australia! The culture and exhibitions are definitely part of it! Wow I didn't know that your blog was inspired by Alice in Wonderland! That's so cool! This exhibit looks like so much fun! Wow! I heard about this. Hopefully I can go to this kind of exhibit.